(from UK Telegraph, Feb. 23, 2018) – Residents of a small town have been left baffled and bemused by prank calls from people claiming to have discovered the home of superhero Black Panther. 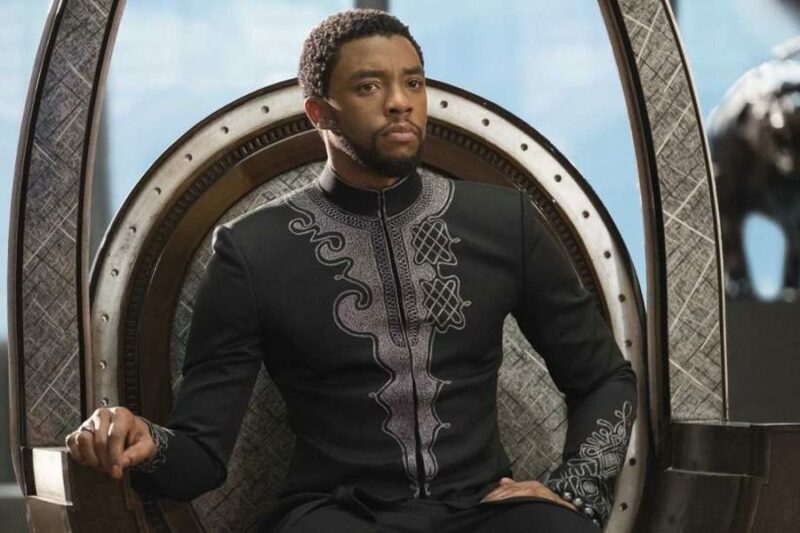 Also known as T’Challa, the Marvel hero is king of a fictional African country of Wakanda – outwardly ordinary, but secretly home to an El Dorado-esque kingdom, hidden from the outside world and rich in a fantastical mineral called Vibranium. Wauconda (pronounced “Wakanda”), Illinois, certainly fits the “outwardly ordinary” part. Until now, the village was best known for its swampy bog (a nature park) and its annual two-day rodeo. But since the new Black Panther movie hit cinemas – where it has taken almost $500 million at the box office – fans have been calling up to ask where they can get their hands on some Vibranium. “At first, I was like, is there a full moon out?” Alise Homola, an assistant to the village mayor, told the Hollywood Reporter. Homola, who has not seen the film, said her office had received both phone-calls and mail from fans of the film. “Someone called and asked how we pronounced the village name and when I told him, he began yelling, ‘Wakanda forever!’ which I am guessing is from the film,” she said. 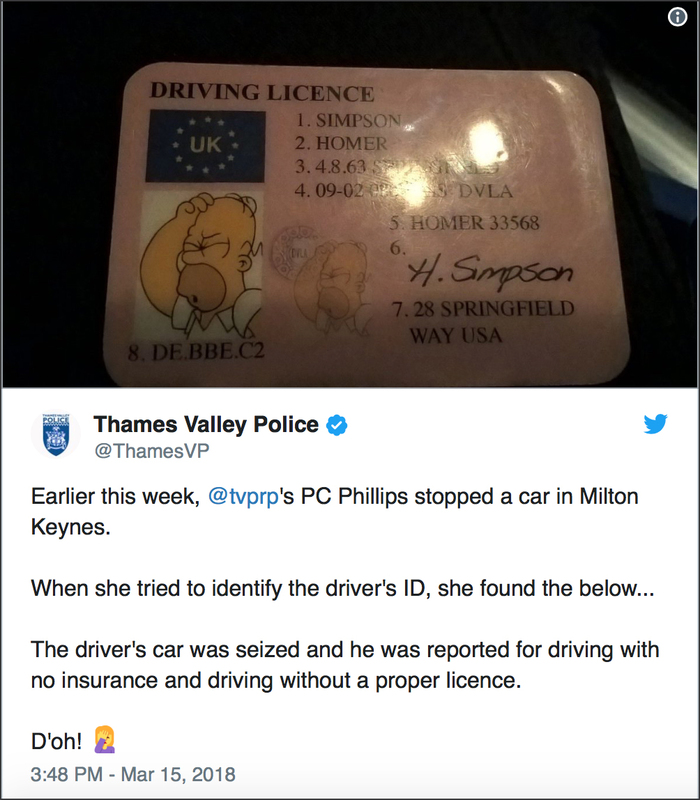 (by UPI, March 18, 2018) — A driver in England presented a fake driver’s license featuring a character from The Simpsons at a traffic stop, police said. “Earlier this week, [police officer] PC Phillips stopped a car. When she tried to identify the driver’s ID, she found the below,” police wrote alongside a photo of the license. Twitter users pointed out the unidentified male driver made several mistakes when crafting the spoof license, printing the incorrect address and date of birth for the well-known cartoon character. Police weren’t amused by the man’s stunt and he faced another charge after the officer learned he had no insurance. “The driver’s car was seized and he was reported for driving with no insurance and driving without a proper license,” police said.